Can You Escape is one of the best free puzzle games you can get for your Android phone or tablet. The game isn't easy but not that hard either. Very challenging levels but mostly you can use your common sense. 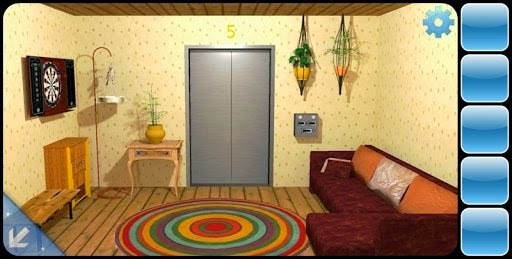 You must solve the puzzles and find all the hidden objects that you have to use in the rooms in order to advance to the next floor. You could finish it in under an hour, but it was a blast to play. Fun and simple, great for when you have a few minutes to kill and are bored. Definitely makes you think, it plays with your strengths and weaknesses. This game can increased your ability to think outside the box and think more clearly. Totally challenging, and the ability to get a walk through if you need be is great for when you've been stuck for a while and going mad!